Museo Internazionale delle Guerre Mondiali puts a comprehensive collection of items into a historical context showing the importance of the region in World War II. 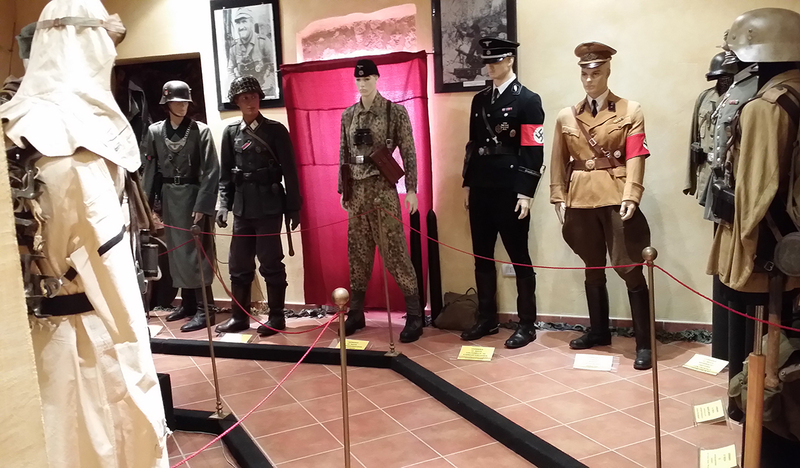 The exhibits include authentic pieces that once belonged to Italian, German, British, French, and American soldiers. The museum's historical reconstruction displays the facts of life in the field, propaganda methods, technology, and medical science available during the world wars. Stop by to learn about history through helmets, radio equipment, books, posters, photos, flags, newspapers, important documents, and more. 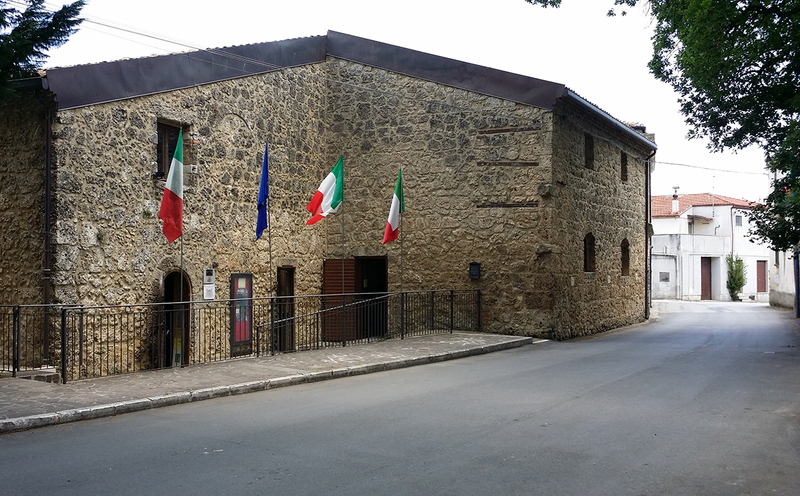 Before you visit Rocchetta Al Volturno, use our trip planner to discover what you can do and see there. Excellent .... it's amazing that a museum like this have so little publicity ... seem to experience history firsthand with the tales and explanations of every single detail in mind ... my heartfelt congratulations for the great work and dedication to history. A special thank to John Calhoun, who told us about the history of our country with real passion and with many details involving much to make us imagine that he had been personally!!! It's true what they say: "it is said not to forget but to remember"
Inaspettata scoperta durante un giro in moto. Il museo è giovane ed in continua espansione. All'interno ci si rende conto di quanto sia importante mantenere la memoria sulla scelleratezza delle due guerre mondiali. L'esposizione si trova in parte all'interno di un antico e stupendo frantoio in piera e parte all'esterno per i pezzi più ingombranti. La superficie espositiva è notevole così come la quantità di reperti, divise e armi esposte. Le giovani guide conducono gli ospiti in un viaggio storico ben diviso ed organizzato in maniera tematica. L'armeria poi è incredibilmente fornita e per gli appassionati meriterebbe una visita a parte. Certo alcune cose andrebbero migliorate ma considerato che il museo è curato grazie alla passione di pochi e in assenza di finanziamenti pubblici, lo considero assolutamente da non perdere e lo consiglio a tutti. Unexpected discovery during a motorcycle ride. The Museum is young and growing. Inside, you realize how important it is to keep the memory on the villainy of the two world wars. The exposure lies partly in an old antique and gorgeous piera and part outside for pieces more bulky. 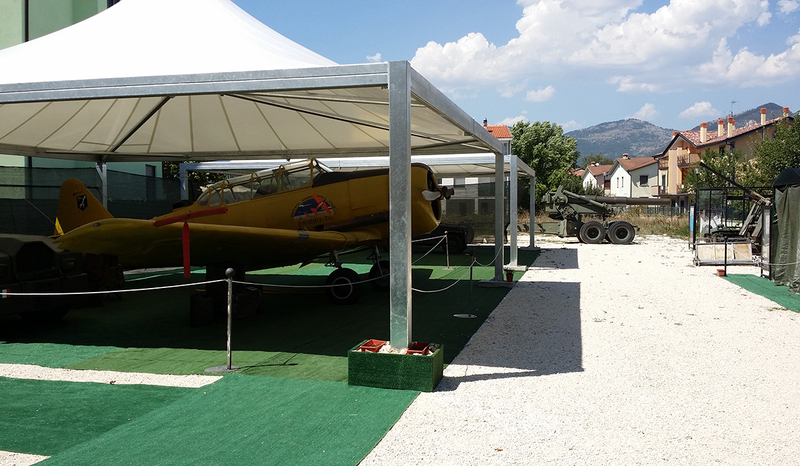 The exhibition area is remarkable as well as the amount of artifacts, uniforms and weapons on display. The young guides lead guests on a historic journey well divided and organized in a thematic manner. The Armory then is incredibly provided and for fans a worthwhile visit. Of course some things should be improved but considered that the Museum is cured thanks to the passion of a few and in the absence of public funding, I consider it not to be missed and recommend it to everyone. Prendetevi il tempo di visitarlo con calma. C'è molto materiale interessante e soprattutto molta storia. Realizzato con cura nei dettagli e con tanta passione. Vi guideranno nel prrcorso museale e potrete vedere filmati storici ed esplicativi. Non ve lo perdete ! Take the time to visit it calmly. There is much interesting material, and especially a lot of history. Made with attention to detail and with such passion. Will guide you in the prrcorso Museum and you will see historical footage and explanatory. I won't miss! Museo davvero unico e fornitissimo di reperti incredibilmente ben conservati, addirittura gran pare funzionanti. Il museo rende molto bene il clima che si respirava nella seconda guerra mondiale. È assolutamente da andare a visitare. Truly unique Museum and jam packed incredibly well preserved artifacts, even large seems to work. The Museum makes it very well the atmosphere we breathed into World War II. It is a must to visit. Museo veramente interessante, ben allestito e ben strutturato nelle sue sezioni, da fare invidia ad una grande città. Segnalo la Sala delle armi, assolutamente unica. Allungate la vostra gita ma non perdetevi la visita di questo prestigioso museo! Very interesting Museum, well prepared and well structured in its sections, that rivals to a large city. Segnalo la Sala delle armi, absolutely unique. Stretch your tour but don't miss a visit to this prestigious Museum! Every day, we help thousands of travelers plan great vacations. Here are some tips on how to use your Listing Page to attract more travelers to your business - Museo Internazionale delle Guerre Mondiali. 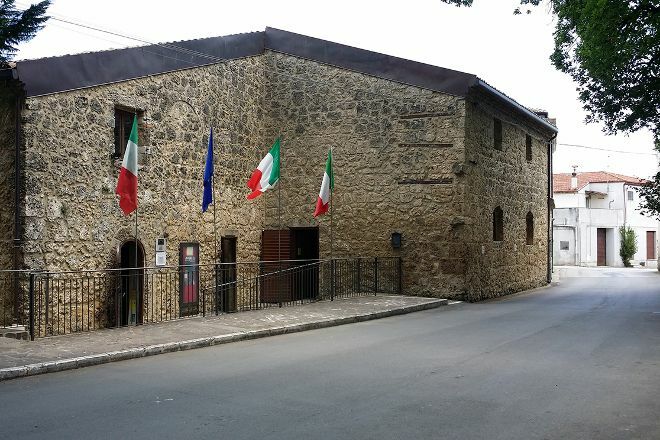 Promote your permanent link - https://www.inspirock.com/italy/rocchetta-nuova/museo-internazionale-delle-guerre-mondiali-a1294765811 - on your website, your blog, and social media. When a traveler builds a plan from this page, the itinerary automatically includes Museo Internazionale delle Guerre Mondiali. This is a great way for travelers looking for a great vacation in your city or country to also experience Museo Internazionale delle Guerre Mondiali. Promoting your link also lets your audience know that you are featured on a rapidly growing travel site. In addition, the more this page is used, the more we will promote Museo Internazionale delle Guerre Mondiali to other Inspirock users. For best results, use the customized Trip Planning Widget for Museo Internazionale delle Guerre Mondiali on your website. It has all the advantages mentioned above, plus users to your site can conveniently access it directly on your site. Visitors to your site will appreciate you offering them help with planning their vacation. Setting this up takes just a few minutes - Click here for instructions.